Treatment of a diene with a strong acid leads to the formation of polymers. Polymers are large molecules made up of repeating units of smaller molecules called monomers which are covalently bonded together. 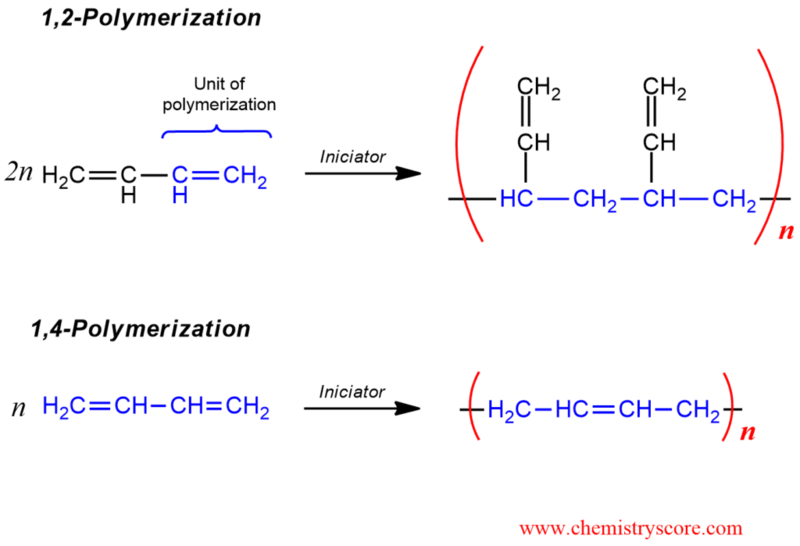 Polymerization is the joining together of monomers to make polymers. When 1,3-butadiene is polymerized at C1 and C2, it yields a polyethylene (polyvinylethylene), and polymerization at C1 and C4 gives either trans-polybutadiene, cis-polybutadiene, or a mixed polymer. Butadiene polymerization is a very specific reaction because the double bonds in this initial polymer can be linked by further treatment with added radical initiators or by radiation. In this way, cross-linked polymers are obtained. Cross-linking generally increases the density and hardness of such materials. It also greatly affects a property characteristic such as elasticity. This is reversible deformation where the chain, after stretching, snaps back to its original shape (such as rubbers). STEP 1. Ionization of the allylic pyrophosphate (OPP=pyrophosphate) gives an allylic cation. 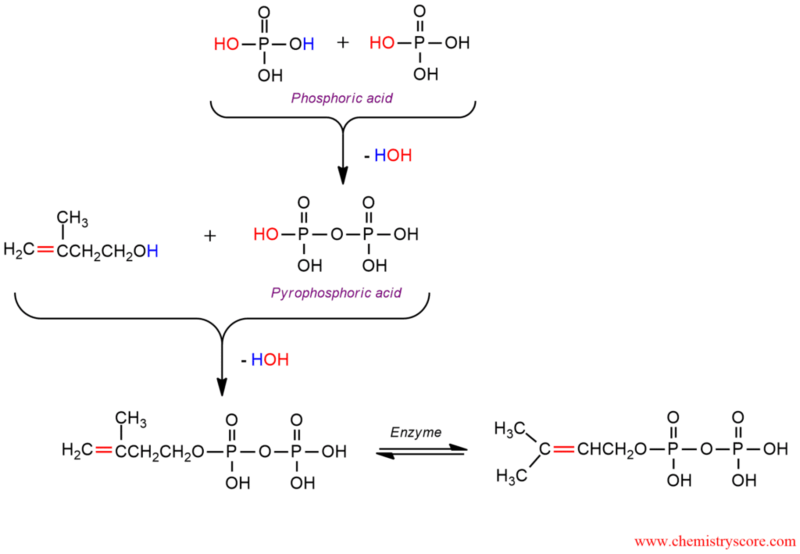 Allylic pyrophosphate is obtained in the previous biosynthesis. Coupling of two molecules of farnesyl pyrophosphate leads to squalene, a biosynthetic precursor of the steroid nucleus.